There’s something about touring a castle that takes you back in time and forces you to reflect on history. As you move within the thick walls it gives you a chance to imagine what went into building such a structure and who it was the constructed it in the first place. Because the grandiose fantasy of castles appeals to a wide demographic, for many different reasons, castles are perfect destinations on your family road trip, offering something for everyone. When you think of Canada you may not initially think of castles, but there are several worth looking at including Ontario’s Dundurn Castle, Casa Loma and Rideau Hall. A three day road trip will allow you to see all three in comfort, but you can also extend your vacation as required, adding as few or as many other sightseeing stops as you wish. Want more castles? Stay tuned for our second Canada Castles post, which will detail a great castle road trip route in Quebec that you can easily add on to your Ontario trip to maximum your trip’s castle exposure. If you’re starting your road trip in Toronto a short drive (about an hour to an hour-and-a-half, depending on traffic) will have you in Hamilton and, a bit farther on, Niagara Falls. Both cities are also within easy access of the Buffalo, NY-Canada border making it easy for Americans in that area to venture off on this road trip as well. 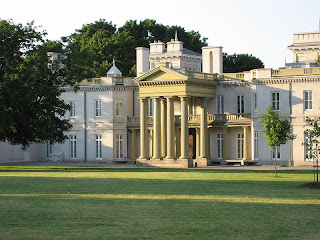 Dundurn Castle is located in Hamilton, Ontario and is part of the Dundurn National Historic Site. This elegant country home once belonged to Sir Allan Napier MacNab, the Prime Minister of the United Provinces of Canada between 1854 and 1856, and was built during the 1830s. A little bit of history: This site was used as a military outpost during the War of 1812; later, when building his country castle, architect Robert Wetherell used some of the remnants of the post and incorporated it into his Classical and Italianate design. 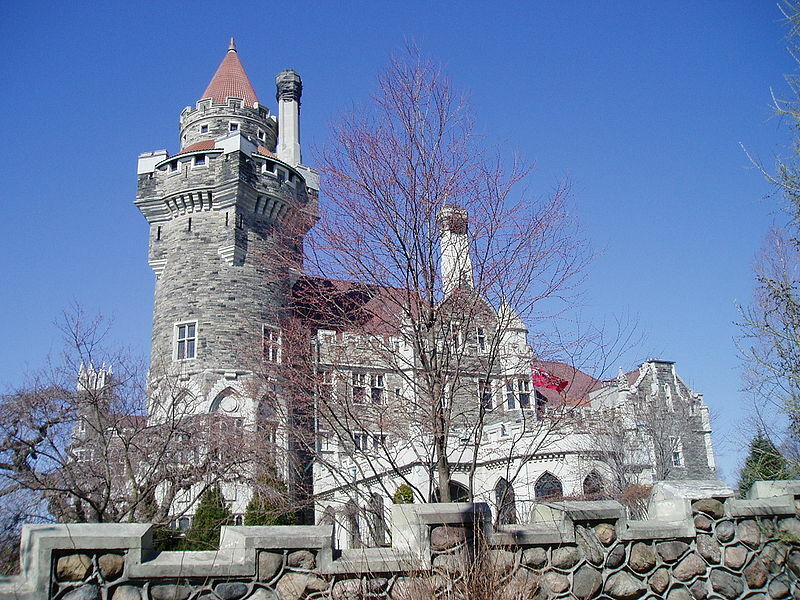 The 18,000-square-foot castle, made of stucco-covered brick, is named after MacNab’s ancestral seat in Scotland. The tour of the home includes over 40 rooms and three floors and will give a glimpse into the “upstairs/downstairs” (master/servant) lifestyle of the day. The home was also quite technologically advanced for its time, featuring both gas lighting and running water. For the ghost hunters among us it’s said that the ghost of MacNab’s second wife, Mary Stuart, still haunts the rooms where she died of tuberculosis. 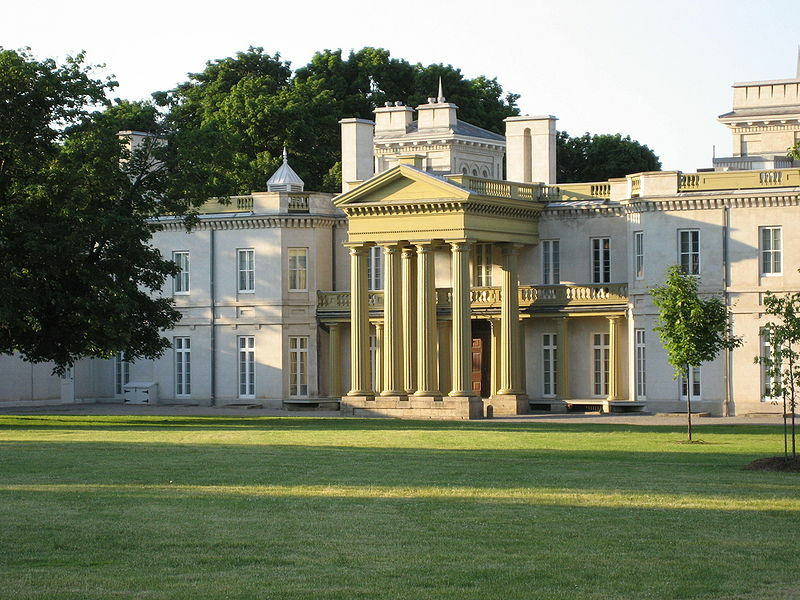 If you visit the site you can also view Dundurn Park and its Hamilton Military Museum and Kitchen Garden, as well as purchase handmade keepsakes in the Museum Gift Shop. After touring Dundurn make the short drive to Niagara Falls, which offers a ton of activities any time of the year. Of course, the big draw is the Falls themselves, but there is everything from casinos and mini golf to spas and restaurants to keep you and your family entertained here. If you’re a wine lover or are into antiques stop at Niagara-on-the-Lake on your way back to Toronto. Winery tours and quaint cafes abound here—not to mention some of the best spas in the country. If you’d like to extend your vacation you will find more than enough to keep you occupied here for an entire day. 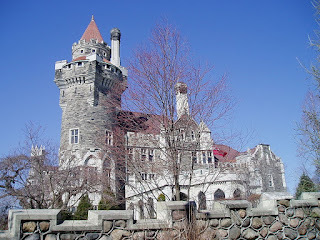 After you’ve finished your tour of the impressive Casa Loma all of Toronto is open to you and the choices are really endless (and the amount of time you spend in the city depends only depends on your schedule and preferences). Visit the CN Tower, the Royal Ontario Museum or the Art Gallery of Ontario. In the winter you can go skating at Nathan Phillips Square. Attend a sporting event, theatre production or grab a meal at one Toronto’s world class restaurants. Rise and shine, grab some breakfast and head to Canada’s capital city: Ottawa. If you like, stop in the Thousand Islands/Kingston area on your way, where on an island on the American side you’ll find another great castle to visit (Boldt Castle). Ottawa is another city where you’ll find tons to see and do. Just a few: tour Parliament Hill or Gatineau Park or visit the Rideau Canal, a World Heritage Site. 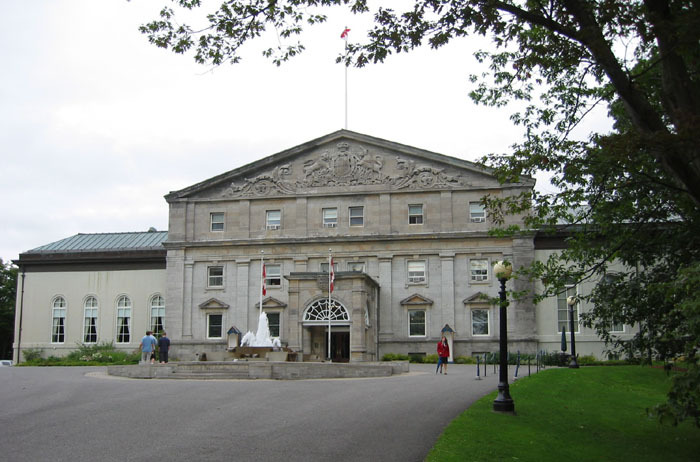 Rideau Hall is the official residence of the Governor General of Canada and has been since 1867. 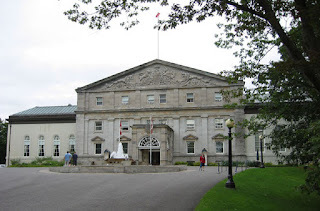 The current Rideau Hall is quite changed from the original Regency structure that Thomas McKay designed in 1838. Nearly 40 years later, when the Earl of Dufferin was the British monarch's viceroy in Canada, a new addition was added in the Norman style also seen in the Governor General's home in Quebec. Another great change to the struct.ure came in 1913 when the Mappin Block was built. Beautiful art and furnishings can be seen on a tour of Rideau Hall and its beautiful grounds.